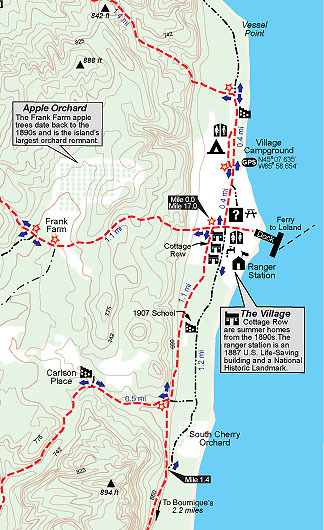 North Manitou Island is one of the newest map from MichiganTrailMaps.com, your trusted companion for trail information. The large format map measures 11 by 17 inches, is printed on durable card stock and coated to be water resistant. Includes all distance markers, contour lines, historic buildings and ruins. Best of all, when folded it fits in your back pocket or the side pouch of your pack. 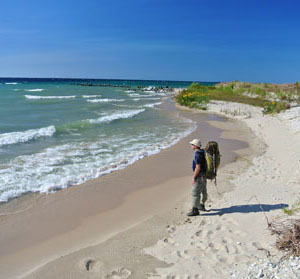 A backpacker pauses along a beach on North Manitou Island.